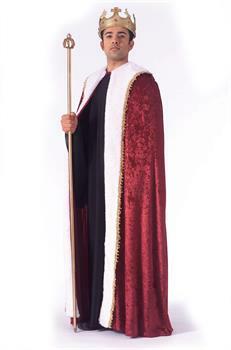 Cloak your self with this majestic burgundy King's Robe trimmed in faux fur. Available in one size fits most adults. Measures approximately 56"L. Crown and scepter sold separately. Care Instruction: Hand Wash Cold. Do not Bleach. Line Dry.